Eidann Glover appears on stages dressed as a clown. Or it a mime? Or a goth? Really though, it doesn't matter. What matters is, she appears. Like Death winding its way through The Butterfly Club upstairs, then downstairs, turning the corner and there it is. In Death and Other Things, Glover shares stories and her thoughts around death and all the fun stuff surrounding it, like grief, power and anxiety. No sooner that Glover begins her cabaret with what feels like a quasi-therapy session, along with the assistance of her three-piece band and their variety of instruments, she decides to scrap it. Forget what you've just seen she tells us. It's her show, she can do whatever she wants. She has a better beginning for us and so she starts again, this time with a different act. Repeat. While the acts themselves are amusing and at times offer interesting interpretations on death and dying, the show requires a tighter structure to keep the flow going and to build its momentum. Death and Other Things needs to realise what its story is, what does it want to talk about and more importantly, what does it want its audience to feel when they are walking away. It went from topic to topic but felt like each one ignored everything that had come before it. The poem that Glover shares with us about walking through parks at night is a powerful moment in the show, immediately taking our minds to Eurydice Dixon and her murder at Princes Park. It's a very affecting piece that reveals Glover's tenacity in not living her life in fear because she is a woman. While death will eventually catch up to all of us, taking a few leaves out of Glover's book - or diary - will ensure that perhaps that final breath we breathe in the final moments of our existence will not be a sign of defeat but a sign of acceptance. 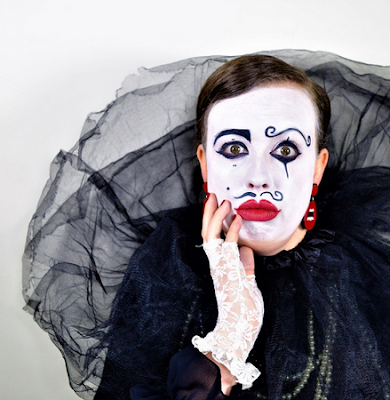 Death and Other Things is a quirky little cabaret that hints at something bigger and bolder yet to come.